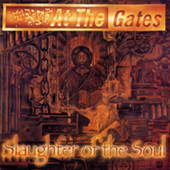 AT THE GATES formed in Gothenburg, Sweden in 1990. Intense Death Metal - mixing a ferocious blend of distinct melody and brutal riffs into a sound that was extreme yet remained memorably listenable. In their 6 year history the five piece built a solid reputation for delivering great albums and frenetic live performances.The band recorded 3 albums for Peaceville Records, 'The Red In The Sky Is Ours', 'Terminal Spirit Disease' and 'With Fear I Kiss The Burning Darkness', after which the band re-located to Earache Records to record their final album, 'Slaughter Of The Soul'.In 1996 after an incredible 5 tours in 1 year, stress took its toll and Anders and Jonas Bjorler, decided enough was enough and left the band. The rest of the band members felt unable to carry on without its core members and At The Gates were no more.Anders & Jonas went on the form The Haunted while drummer Adrian is now the permanent sticksman for Cradle Of Filth. 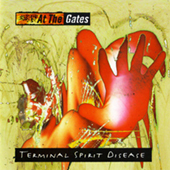 Tomas, the prolific front man now sings with Peaceville rising stars, The Great Deceiver.Terminal Spirit Disease was originally released in 1994. This re-release has been re-mastered & comes in digi-format. 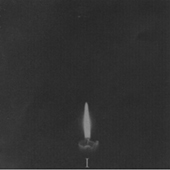 It contains the extra tracks: The Red In The Sky Is Ours/The Season To Come plus The Burning Darkness. Both tracks are live & were recorded when the band played live @ Nottingham Rock City for an MTV Headbangers Ball special. Sweden's At the Gates formed in 1990 and released 4 highly successful and influential studio albums before the band broke up in 1996. They later reformed in 2007 for some successful reunion dates across the globe. 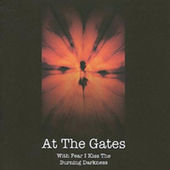 Regarded as a highlight of the band's career by many who followed them from their earliest incarnation, With Fear I Kiss the Burning Darkness, was originally released in 1993. 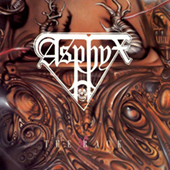 The album was known for its breakthrough style at the time, with highly complex melodic arrangements retaining a dark and brutal edge mixed with slight black metal overtones and poetic, philosophical lyrics suiting the tracks perfectly. The album also featured a guest appearance by Matti Karki of Dismember. Along with the album and bonus tracks (consisting of 2 live tracks and an early demo version of 'The Architects'), this release includes new insightful liner notes by vocalist Tomas Lindberg, reflecting on the early days of the band, scene, and the making of the album. This package also includes a DVD containing a live show recorded in Groningen 1992 during the band's European tour with My Dying Bride; featuring many early classics from the band's first 2 albums and debut EP and giving a rare glimpse of a band on their way to great heights as a key influence in melodic death metal. 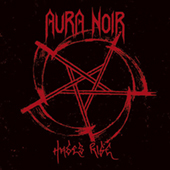 Norway's Aura Noir was formed in 1993 by Aggressor & Apollyon in pursuit of a more thrash-based form of black metal than much of what was coming out at the time - particularly in their homeland - citing bands such as Slayer, Sodom & Kreator as inspirations along with purveyors of the scene such as Venom, for a dirtier, stripped down, violent black/thrash metal sound. Their first official release was the "Dreams Like Deserts" EP on Hot Records in 1994, and from there-on the band has become a cult act. 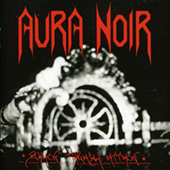 Norway's Aura Noir was formed in 1993 by Aggressor & Apollyon in pursuit of a more thrash-based form of black metal than much of what was coming out at the time - particularly in their homeland - citing bands such as Slayer, Sodom & Kreator as inspirations along with purveyors of the scene such as Venom, for a dirtier, stripped down, violent black/thrash metal sound. Their first official release was the 'Dreams Like Deserts' EP on Hot Records in 1994, and from there-on the band has become a cult act. Ugliest trio in the world is back! 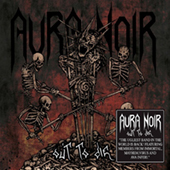 March 2012 sees the release of the fifth Aura Noir album, "Out to Die", their first album with INDIE recordings, with Blasphemer permanently back in the fold and several tours in Europe, North- and South America under their belt since 2008's 'Hades Rise'. 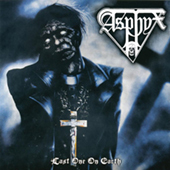 It is bound to cement the band's reputation as a black thrash attack more ugly, brutal and merciless than ever. 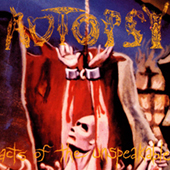 One of the early breed of US death metal acts, Autopsy formed in 1987 in San Francisco & released 4 albums on Peaceville Records - beginning with the classic debut "Severed Survival" in 1989 - before disbanding in 1995, with members going on to form Abscess. Autopsy triumphantly & officially returned from the grave after a 15 year hiatus with the 2010 EP, "The Tomb Within" delighting critics & fans alike, followed by "Macabre Eternal", the long-awaited & rabidly received fifth album in 2011, with the original trio of Chris Reifert, Danny Coralles & Eric Cutler joined by Joe Trevisano of Abscess/Von fame on bass. One of the early breed of US death metal acts, Autopsy formed in 1987 in San Francisco, & released 4 albums on Peaceville Records - beginning with the classic debut "Severed Survival" in 1989 - before disbanding in 1995, with members going on to form Abscess. 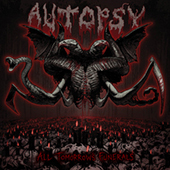 Autopsy triumphantly & officially returned from the grave after a 15 year hiatus with the 2010 EP, "The Tomb Within2, along with a trio of festival headline appearances. 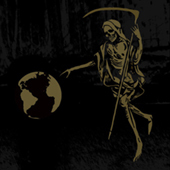 This was followed by the release of the band's fifth studio album, "Macabre Eternal" in 2011, to great acclaim, as well as more live festival performances throughout the US & Europe. 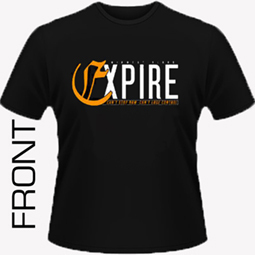 A nostalgic trip back toâ€¦. the Underworld! One of Sweden's earliest and pioneering bands in old school Death Metal, AUTOPSY TORMENT brings us the ear-splitting necro sound with '7th Rituals For The Darkest Souls Of Hell'. This is exactly the real cult Death Metal that had been sorely missed in today's Extreme Metal, so embrace this repulsive masterpiece and behold the stench of ugliness in beautified glory. Re-mastered by the legendary Dan Swano at Unisound, Sweden and featuring the horrifying artwork cover by cult Metal artist Chris Moyen, this is a true collection for those who respect the revolutionary First Wave Of Death Metal! Proving once again that black metal need not be "progressive" or "open-minded" to be truly effective, AVSKY unleash Scorn upon the masses. Part statement of intent regarding traditional black metal, part extension of where they left off with 2008's classic Malignant, this Swedish duo concoct dangerous anthems of pitch-black atmosphere and tormented hideousness, locating the perfect balance between the archetypal Norwegian and Swedish styles but with an evil Ã©lan all their own. Diseased, depraved, and darker than black â€" you deserve AVSKY's Scorn!